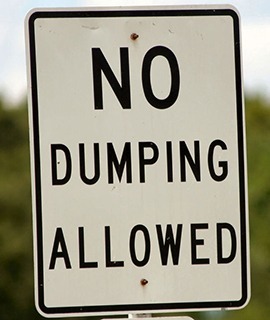 The village of Blackville has a no-dumping policy in effect. If you see someone illegally dumping, please report it. Abandoned garbage causes health and environmental risks, encourages more illegal dumping, and sends a message that illegal activity is okay in our community. When you dispose of items properly, and when you report illegal dumping, you help improve the quality of life in your neighbourhood. Garbage is collected bi-weekly in the village, with recyclables collected on alternate weeks.